Every other month, District 7 Councilman Patrick Dowd brings his Council to Go to Polish Hill. If you are interested in what the City Council is up to, or want to share you concerns about neighborhood issues, please join us. All are welcome. One issue that we will be discussing is the problem of excessive traffic and speeding of the neighborhood. We did a post on this issue in early June; since then there have been two more incidents resulting in injuries and several cases of property damage. Traffic calming measures are an important component of the Polish Hill Strategic Community Plan. Concerns about this issue have increased after a recent spate of accidents, injuries, and property damage, mostly in the Melwood Avenue area. The PHCA is collecting data on incidents to make the case to City and state officials that speed humps, speed limit changes, road access limitations, or some combination of these things are needed to reduce the impact of cut-through traffic and speeding on the neighborhood. If you have an incident to report, please come to Council to Go. If you can’t attend, email us or call 412..681.1950 and we will add your report to the data. Please include as much information as you can, including date and time of the incident, exact location, and the particulars, especially if someone was injured, or nearly injured, or if there was property damage. District 7 Councilman Patrick Dowd holds his Council to Go meetings in all his constituent neighborhoods. This evening, Council to Go comes to Polish Hill. The meeting is from 7 – 8 p.m. and will be held at the PHCA office at 3060 Brereton Street. These meetings are a great place to hear about what City Council are up do, to share your concerns, and meet fellow residents. All residents are invited to attend. Wednesday’s Council to Go meeting was held at the PHCA office, after over a year in residence at Lili Coffee* Shop. The meeting was lightly attended, but the discussion was lively. Among topics discussed were the ongoing water line replacement work on Dobson Street, the recent cuts in county funding for neighborhoods, and the vote on library funding, which was overwhelmingly approved in Tuesday’s election. 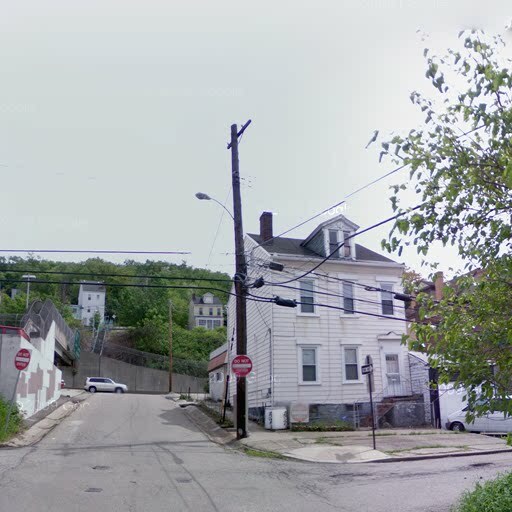 The major topic of discussion, one that is of keen interest to all Polish Hill residents, was the increasing number of vehicles using some Polish Hill streets as a cut-through, and the high speeds at which many of these drivers move through our neighborhood. This is a particular problem on Melwood Avenue, which is only passable by one car at a time. The ‘secret’ shortcut from Oakland through Polish Hill via Baum Boulevard / Gold Way / Melwood is not so secret anymore. The number of cars coming through Melwood has steadily grown, and residents are increasingly frustrated at the resulting problems. Many residents have reported repeated damage to their vehicles, of being unable to get to their homes or park during rush hours as vehicle after vehicle comes through. There have also been injuries due to cars speeding through — fortunately, none serious thus far. A Melwood resident at this meeting mentioned a recent incident in which a speeding car, coming down Finland took the turn onto Melwood too quickly and struck his car as he and his girlfriend were loading the truck; she was injured. The Finland Street entrance from Bigelow Boulevard is a major source of concern for residents in that area. Cars coming into the neighborhood from Bigelow tend to remain at a high speed as they transition from the fast road to the narrow residential street. The Finland street entrance off Bigelow Boulevard was studied during the recent strategic planning process; it was recommended that it be closed. Although it would be an inconvenience to residents, there are a lot of young children living nearby, and closing the Finland Street entrance would make that area safer, which might be a worthwhile tradeoff. It was mentioned that at one time, over 20 years ago, Melwood Avenue was closed to through traffic while the Bloomfield Bridge was being rebuilt. After the work was done, the street, which had been little more than a narrow path, remained closed. Polish Hill residents petitioned Senator Ferlo to open it back up, widen, and repave it so they could have easier access to the neighborhood. At a recent meeting in Polish Hill, Senator Ferlo mentioned that he was reluctant to do this and warned residents of the possibility of exactly the problems we are now seeing. Now, there is no reason to keep Gold Way/Melwood open to through traffic, apart from convenience to residents. The Gold Way entrance is too narrow, winding and often obstructed to be a good approach for emergency vehicles, which could get to the area more quickly via Bigelow. Another possibility would be a barrier that could be moved to allow emergency vehicles to pass. It was suggested that it’s time to consider closing the Gold Way / Melwood Avenue entrance again and turning it into a bike/pedestrian-only thoroughfare. The residents present at the meeting, and Councilman Dowd, liked this idea very much. The issues on Melwood Avenue are addressed in the Polish Hill Strategic Plan, nearing completion; the idea of closing Melwood to through traffice also came up in public meetings for the plan. The next Council to Go meeting will be on Wednesday, January 11, 2012. The meeting will be at the PHCA office, and is open to all residents. 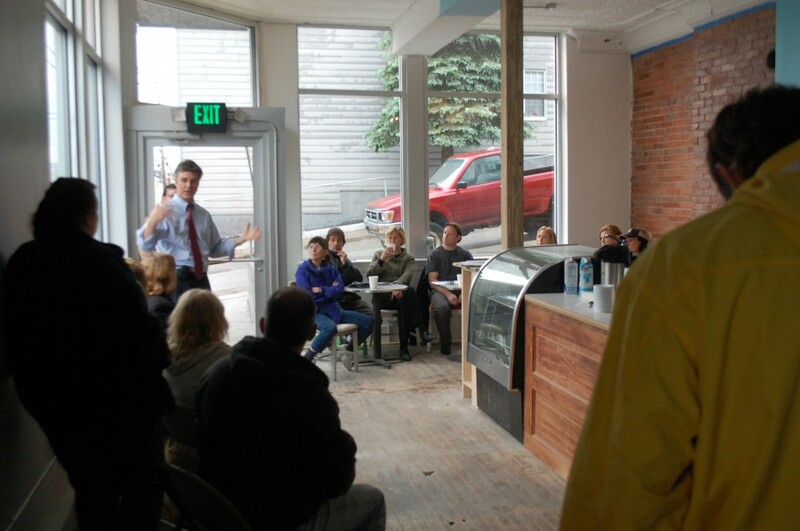 For over a year, Council to Go with District 7 Councilman Patrick Dowd has been held at Lili Coffee* Shop. Recently, the hours have changed at Lili, and they are no longer open late enough to accommodate the meetings. So from now on, Council to Go will be held at the Polish Hill Civic Association office at 3060 Brereton Street. The meeting is from 7:00 – 8:00 p.m.. If you have concerns or neighborhood issues to share with Councilman Dowd, we hope you will attend. District 7 Councilman Patrick Dowd will be holding Council to Go in Polish Hill on Wednesday September 14 from 7 – 8 pm. at Lili Coffee* Shop, 3138 Dobson Street. Come out and hear what’s going on in City Council, share your concerns, and meet your neighbors. Council to Go meetings are every other month; the next Polish Hill meeting will be on November 9. 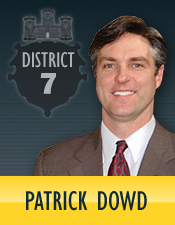 Click here for more information on District 7 and Patrick Dowd. If you’re willing to bundle up and brave the snow, consider trudging on over to Lili Coffee* Shop at 7 pm for Council to Go. Share your concerns with District 7 Councilman Patrick Dowd and staff, or just listen in to what your neighbors are thinking about. Lili will be open for business as usual, so you could also get a hot drink and a treat to sweeten up the evening. Hope to see you there! Reminder: Council to Go is Wednesday evening! There have been some changes in Council to Go dates, so we wanted to remind everyone that the meeting is on Wednesday, at 6:30 pm at Lili Coffee* Shop. If you have concerns to share with Councilman Patrick Dowd, or just want to stay up to date, please join us! If you have any questions, please call the PHCA office at 412.681.1950. Due to some activities in the neighborhood, Council to Go has changed it’s meeting place. Council to Go is the mobile district office for Patrick Dowd at City Council. If you cannot make it to the session, you can drop off comments to PHCA via email (phcapgh@gmail.com) or phone (412-681-1950). Council to Go will be held at PHCA office, located at 3060 Brereton St. In July, the Council to Go session will be held on Thursday instead of Wednesday.